They do so that time heals everything but at this moment, I am not sure .... but I can only hope that it does. Maybe the hurt doesn't go away, you just get numb after a while. At the moment, I am taking things one day at a time! Everywhere I look, memories come flooding back. Every time I receive a condolence email from friends and office colleagues, I have to hold back my tears. I think our two "boys", Benji and Milo, are still unaware that their daddy is never coming back. However I do feel that they sense that something is not right at home. If you have been following my blog you would know that my dear was never one for cakes. However certain cakes he will partake of. 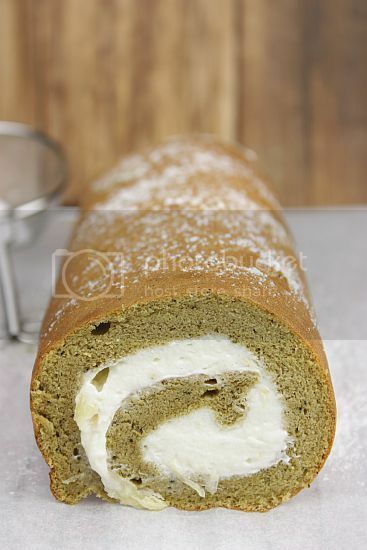 This particular swiss roll happens to be one of the last desserts I had made for him. So for now I leave you with this. 2) Sift together cake flour, baking powder, matcha powder, salt and baking soda into a clean bowl and set aside. 3) In another bowl, whisk by hand the egg yolks, 50g sugar, oil and water until the mixture is light in colour and slightly thicken. This should take about 1 minute. 2) Whip the "Whip & Pour" (or thickened cream) until stiff. Add the durian flesh and mix until combined. 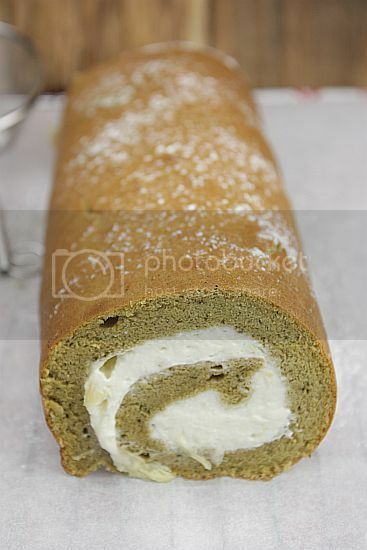 then spread the durian filing on the jelly roll, leaving about 1/2" border on the sides. Jo, give yourself time...and be gentle to yourself. God be with you and hope time heals all the pain you have inside. Jo, I'm not good talker. So, I'm sorry if what I'll be sharing with you sounds hurtful. Jo, take care *hugs*. 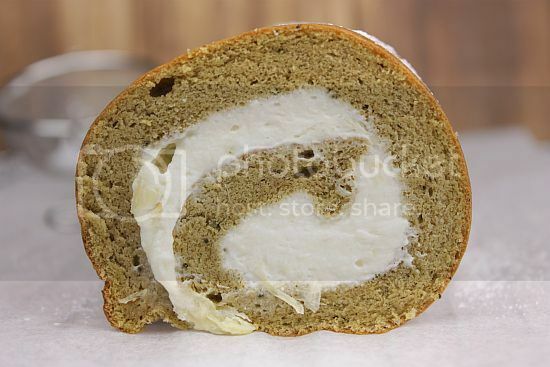 This swiss roll looks great and perfect. Oh no, Jo, I really feel sad and sorry to know what happened to you. I have been away for few weeks too as my sister's husband also just pass away, I know how you feel..Big hugs..My deepest condolences to you. Life indeed is very fragile nowadays. Be strong and this is a reminder for all of us to treasure every single moment we have for our love one. My prayers are with you. God bless you! if it helps in any way i can, do let me know.. Be strong, your kids need you. Hang in there. I know you can do it! 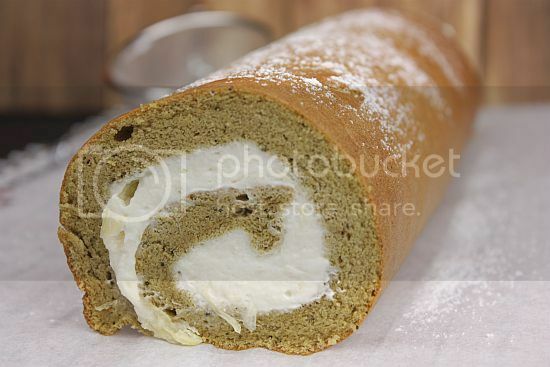 Jo, this is a lovely Swiss roll- very well made. For now, let's just try to cook up a STORM ! No more condolences... I prefer to cheer you on!